All IT Solutions start with an Idea!! Understanding client's business requirements and implementing a right strategy by adopting creativity is what makes us different from other companies. 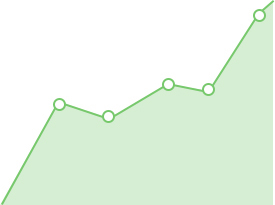 Social Media Tree Helped to drastically improve the effectiveness of our website as a marketing tool. Our search rankings have improved. In just the past couple of months we have received 3-4 quality leads that we are working to close. The entire team of Social Media Tree ( Amplus) is not just professional, but friendly as well. Their teamwork is simply great! I couldn't have wished for such a smooth SEO work Schedule which they had designed for me. I have received lots of positive feedback since I availed their services. After talking to all the SEO companies on the list, I came to the conclusion that SMT was the best and the brightest of the bunch. And that has proven to be exactly correct! Everything that I had hoped for has been realized and our working relationship is very enjoyable. It's been a true partnership!